Welcome to the Lima Senior High Class Of 1964 web site. Please fill in your profile and look at all of the tools available to you. This site will enable us to keep in touch with each other and prepare for our upcoming 50th Class Reunion. Please make sure that you take advantage of the announcement tool to make those special announcements that we would all be interested in. If there is information that you want added please contact Peggy (Miner) Miller. The 50th Reunion mailings came back for the following people. If you have a current address for them, would you please let us know so we can get the information to them. It doesn’t seem possible but the calendar and my Social Security check don’t lie. It seems like yesterday that I was cruising North Street, gliding through Spyker’s, King Burger, Frisch’s Big Boy, Frost Top and Red Barn in my ‘57 Chevy, stopping once in a while at Big Boy to park and watch the parade myself. Wasn’t it just last week I was shopping for a class ring at Don Jenkin’s then stopping off at Hart’s to listen to the latest 45rpm from the Beatles? Was that me, looking for a Madras shirt and pegged pants? Was I the boy browsing at The Leader and Gregg’s but ending up at the Varsity Shop then going to Thom Mcan’s for new shoes? I was also looking for that new Jade East cologne at Kresge’s, Woolworth’s and Newberry’s but instead I found that English Leather would do the trick. Sometimes I would meet a couple of friends to catch a double feature with cartoons at the Sigma. When we were lucky enough to find a date, we would take them to see the latest James Bond movie at the Ohio or Quilna Theater. Afterwards, we would stop at the Kewpee or Tip Top for a bite to eat. If you were lucky enough to have a steady date, it was off to the Springbrook, Sharon or Gloria Drive-in. For other entertainment, we could always go to Moreo’s for bowling or to Putt Putt for a round of miniature golf. During football and basketball season it was off to cheer on the Spartans every Friday night. Loved those “Local Boys 158”! Where did those carefree days go? Those days when a hot dog at the Dogs and Suds was .20 cents or a slice of pizza at Pizza Planet was .10 cents, .15 cents with pepperoni. A Kewpee was a top shelf burger at .25 cents, everybody else sold them for .15 cents. The Lima News was .10 cents daily or .45 cents per week. The Meadow Gold milkman delivered your milk and dairy items right to your door every morning before dawn. You could cruise all over Lima every night in a car with a V-8 engine because gas was only .29 cents a gallon at the Sohio or .25 cents at Certified. I swore at the time that if I could only find a job that paid $500.00 a month, I would be on easy street the rest of my life. I was so naive and unsophisticated then. It’s been 50 years since the Lima Senior High Class of ’64 went off to conquer the world. When you are 18 years old, anything seems possible. Maybe you’ll find a cure for a deadly disease or write a bestseller or become a movie star or make a million bucks. However, we quickly realized that after graduation is when the real education begins. We each traveled our journey in a different way. Some of us had the financial and loving support of our families. Some of us had nothing but our diploma. Some of us made our way with the help of education, some through science, some through business, and some through public service but most of us got through the old fashioned way – trial and error. Back then, we felt there was a new era coming but we could not predict the whirlwind ahead. Bob Dylan tried to warn us - “The Times They Are A-Changin”, but we had no idea of the life altering experiences that awaited us. Each of us encountered personal difficulties along our journey, many with heartbreak and tragedy. Be it health issues, financial woes, marital problems or untimely death of a loved one - no one was immune. Plus, collectively, our generation endured wars, assassinations of our heroes, civil unrest and riots. Also there was the sexual revolution, gas shortages and the oil embargo. Then we worried about inflation, stagflation and recession. In addition, we struggled with civil rights, women’s rights and gay rights. The AIDS epidemic was alarming. There were White House scandals, terrorist attacks and the Tech revolution. Wow! Are we great or what? Most of us not only survived but have thrived. We can look back and say we aren’t just “baby boomers”, our generation is pretty great also! When we were all in high school we didn’t have much in common. Oh, we had our clicks, clubs and groups that we hung out with, but outside of those groups we really didn’t have much in common. Now we all have familiar stories, shared experiences and tales to tell. If I do decide to go to the reunion and you see me, walk over and introduce yourself – we have a lot in common. We are the class of 1964 and damn proud of it! I've missed every one of our class reunions, so I promised myself that NOTHING was going to get in the way of making this special reunion. I put in for a week's vacation in January so I could not only make it to Lima, but also drive to Mansfield for a surprise visit with Kathy (Whited) Baker & Jim in case they couldn't attend the reunion. I haven't seen them in over 5 years... okay it's probably been 10! So when I put our plane tickets on VISA in March, it was a done-deal. However, in early July, our manager told us that the Brass were suspending all vacation time from July 12th thru the end of August. My retire date is the end of August, so I figured they'd cut me some slack and allow me go to my big "50" reunion. Word came back quickly that no one would be excused from duty. Moreover, our manager asked if I would consider moving my retire date thru the end of October--- which is just not done in our Division. Okay, so now I'm starting to sweat some beads that the Brass may be expecting something not too warm & fuzzy may happen in our city in the near future. They also asked that we keep the vacation-suspension "close to our vests" when talking with the public. 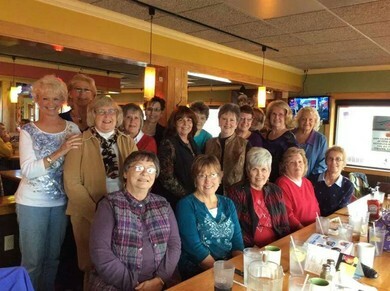 So, I knew I had to get over my disappointment about not getting to finally meet-up with many of my classmates I haven't seen for FIFTY YEARS!!! But I surely wasn't going to miss this reunion and not let you know why I couldn't make it. The Chief suspended vacations for 2 weeks during the Republican National Convention across the street at Tropicana Field... but there were zero problems with that. The only thing I can guess is THIS time they may expect some unrest in this 102-degree summer we're having leading up to the Nov. Midterm election. Let's pray that our city as well as others across the country will not have any severe acts of civil disobedience. Since I can't be there this weekend, I'd like to share with you 2 school-stories that haven't sunk to the netherworld of my memory, even after... OMG! --- 50 YEARS!!! To me, 50 years have passed like 25. What about you? My most fun & memorable time at LSH was in Mr. Bright's 6th period Chemistry class. With Max Freeland sitting to my left & Paul Barker on my right, we'd crack-up when Mr. Bright would ask one of them (at least once a week) to "please go check Bonnie's drawers." --- (Of course, he meant for one of them to inspect my chemistry drawer to make sure all items were accounted for... but nevertheless, we knew it was a double entendre, and I in no way took offense at his humor). Mr. Bright would inject other kinds of humor, too. For example: Who didn't chuckle a little when he'd write an especially long formula on the chalk board with his left hand, then smoothly finish it with his right!-- then peaking back at us to see if we had noticed his unusual skill. Chemistry was not easy for some of us, so his ability to know when to insert a comic-relief was wise on his part and helpful to many of us. It was as if he sensed when we were getting information-overload. He sensed it by making lots of eye-contact with as many of us as possible so that he could assess if we were grasping the concepts or not. If he sensed "not"-- then he'd go over it a 2nd time. He would always give the class a few minutes to study before the final bell while he read the financial pages of the Lima News. (I found out a few years later that he was quite adept at picking which new companies' stocks would go like gang-busters. Because he applied his abilities for many years and invested well in the stock market, he was wealthy enough that he really didn't need his teacher's paycheck). That totally impressed me because as I looked back on his style of teaching, I could tell that he gleaned a good deal of satisfaction in teaching students his area of expertise. He even stayed after school many times to help some students with their homework. He helped me a few times. Other teachers I had either "brow-beat" you to learn (I'm not mentioning any names- and there were more than 1) or they would read from their lecture notes and rarely made "real" eye-contact with us. That split-second connection between teacher & student at various intervals is not only what kept our attention on the subject during the class, but it let us know that the teacher really cared that we understood what his/her lessons meant. In my opinion, the really good teachers in high school, trade school, college, or in the workplace are those who used lots of eye contact and other subtle non-verbal interactions with their students to get their messages across. So, Mr. Bright's teaching style turned out to be quite influential in my considering teaching as a career-- after I worked a few years as a secretary. And for the same reasons, my 9th grade Science teacher, Mr. Gingrich, at South Junior High, was also an especially good instructor. Near the end of my senior year, someone at the east end of our Chemistry class mixed 2 chemicals improperly & nearly asphyxiated the entire class! We all scrambled for fresh air in the hallway. I never DID learn who caused the stink in there, so if anyone remembers, I'm curious to know who it was. Please send me a private message. This next story had to do with cheerleading at an out-of town football game. I can't remember the school's name, just that it took forever for Mrs. Anderson to drive us there. The summer before my senior year, five of six girls on the LSH varsity cheer squad went to a cheerleading camp in a wooded setting in Michigan. That year, the Michigan State cheerleaders were the designated instructors. They really challenged all of us both mentally & physically to learn new cheers and to always be in sync with the other girls in the squad. Each morning, we'd be up by 6am and meet in center camp for the raising of the American flag, followed by a lady playing revelie. After a light breakfast, our squad - along with 8 other squads from various Ohio schools - walked a good distance till we got to this 3-acre meadow between the forest(and no sitting down to rest). First they would perform all the cheers we were to learn that day. They were magnificent, and we all looked up to them. Next, the squads separated and spread out over the meadow (1 college cheerleader teaching each high school squad). We'd learn about 4 new cheers a day then continued to practice. They showed us how to get the crowd revved up to yell with us. And since we had no one on our squad appointed head cheerleader, we'd all have to think up a good chant to match the play on the field. The first one who started chanting, the other girls were to immediately chime in and then get the crowd to yell. (It had to be done FAST, ie. hear the bell, then salivate). We practiced that technique a lot during those 5 days & all of us had mastered it. At noon, we'd eat our bagged lunch prepared by the cooks, and at 12:30, we'd get right back to our practicing. If we had to use the restroom, we'd have to run back to our cabin, then run out to the meadow, or else you'd miss out on learning anything new. At the end of the week, we were to be in a competition with the other high school squads. The Michigan State cheerleaders would be our judges along with the director of the camp. Knowing we'd be competing, pushed us to the limit to hone and refine our skills (various jumps, cartwheels, round-ups, and splits). It was totally physically exhausting for all of us in that summer heat, but everyone held her own. At 4pm, we'd watch our mentors cheer as a squad all the new cheers they taught us that day. They were so awesome that it psyched us up to try harder the next day. Then we'd walk back to our cabins, shower, and get dressed for supper in the main cafeteria. After supper, we'd gather around as they lowered the flag while someone played taps. Then we'd walk back to our rooms and literally fall into our beds and crash (many nights without changing into our PJ's). We repeated that routine for 4 more days. We built up lots of strength, stamina, confidence, discipline, and respect for each other. We finally were ready to compete for our ribbons by ending the practice session an hour early. We fared pretty well. I think we won a second and a 3rd place ribbon. Some squads got more, and one squad didn't even win a ribbon. Fast-forward to our away-football game (was it Alliance, Ohio?) We did pretty well as a squad that night; our advisor was quite pleased. But boy did I blow it with my next move! Our crowd of Spartans had been yelling the cheers with us all through the game. The score was something like 17 to 7 in the other team's favor, with only 4 minutes left to play. After a play on the field, Miss Bonnie Buehl was the first one to come up with a chant. And guess what it was? "We've Gotta win, we've Gotta win... Let's go!!" --- My eyes first connected with Hole's (Jean Ann's). The look on her face was "Priceless"! It was like: "Girl, there's NO WAY I'm going with you on THAT chant! !--- but you can look like an jackass if you want!! The crowd knew immediately it was not the proper chant since we were so far behind. I only yelled it twice and then looked around for a hole to slither into. But in the locker room, the other gals didn't give me a hard time at all. But it was a mistake I'd never make again. I KNOW some of you have many stories to share about your school-times, and I'd love to hear them. Feel free to comment here or send me a private message. ----- Also,I'm on Facebook (www.facebook.com/buehlah). If you have a FB account, pull me up and check out many of my captioned-pictures. And, Inaura, I promise--- it will take you an hour to get thru my pics, comments, notes & posts, etc. Go to Photos, then click-on Albums, then click on any of my 8 albums. You don't even have to be my FB friend -- It's been open to everyone for 3 years. It's probably what got me on this regime's enemies' list. --- But now that we know the NSA has been storing everyone's e-mails, tweets, or posts on FB, it's now a moot issue. It's taken me 2 hours to write all this on an extra long lunch, but at least now I feel like I've broken the proverbial ice. Forgive me for waiting FIFTY YEARS!!!! !to get in touch. God Bless you all!